Lucky bamboo has "luck" in its name for a reason but that reason has nothing to do with purifying air. The plant is a member of the Dracaena genus, some of which have air-cleaning qualities, which accounts for the misconception. Lucky bamboo has no effect on air quality. 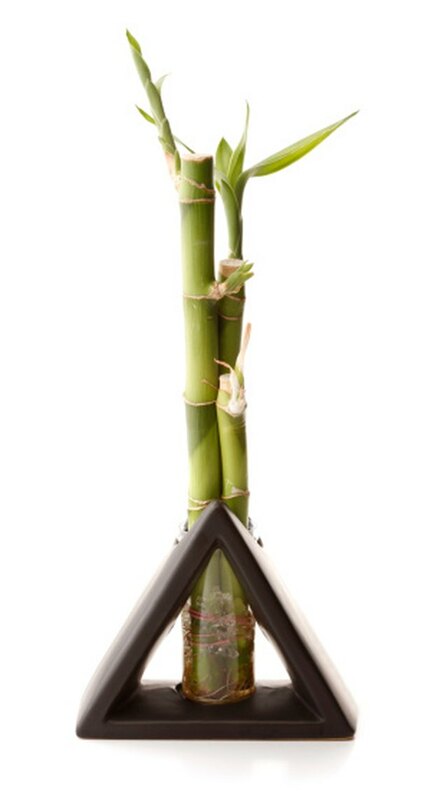 Lucky bamboo is known scientifically as Dracaena sanderiana and is not a member of the bamboo family. Other Dracaena species do remove toxins from the air, such as Dracaena marginata, commonly called red-edge dracaena or the Madagascar dragon tree, and two varieties of Dracaena deremensis--"Janet Craig" and "Warneckii." The Dracaena fragrans "Massangeana," or cornstalk dracaena, also makes the list. The relationship between some Dracaena plants and air quality was discovered in the 1980s, the result of a study performed by the National Aeronautics and Space Administration (NASA) and the Associated Landscape Contractors of America. Other plants that improve air quality include English ivy, peace lily and weeping fig. Just because lucky bamboo has no impact on air quality does not mean you should throw away existing plants or choose not to purchase them. Lucky bamboo is a low-maintenance houseplant that has been considered a symbol of good fortune by the Chinese for over 4,000 years.